Kubix 4 tap hole bath mixer with swivel spout, shower kit and hose retainer, incorporating leading edge 1/4 turn ceramic disc valve technology. Although these fittings are suitable for low pressure, we recommend a minimum operating pressure of 1.0 bar for best performance. 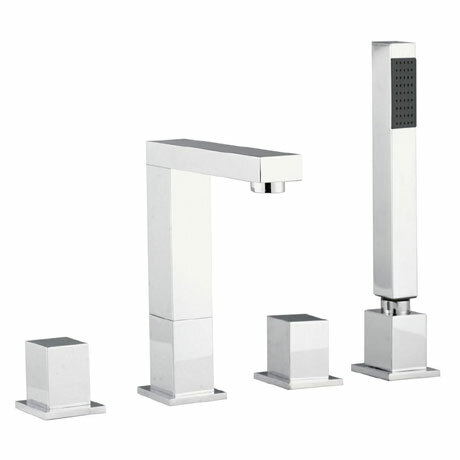 Strength fits comfortably with style in the Kubix bathroom tap and mixer range, bringing substantial elegance to the modern bathroom. This tap range is completed by co-ordinating showers.